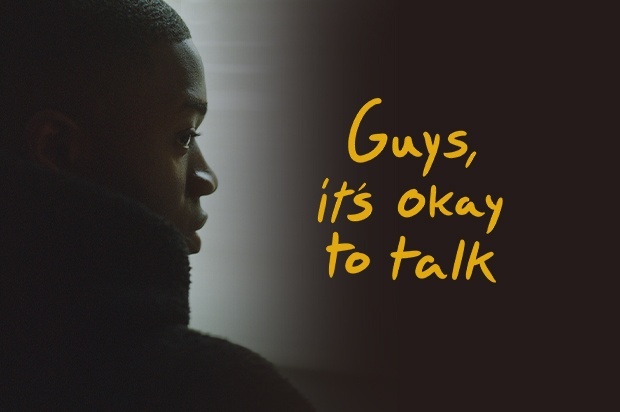 The Mix has launched a new campaign ‘Guys, it’s okay to talk…’ in partnership with marketing communications group Dentsu Aegis Network, to encourage young men to discuss their mental health. Aimed at teenage boys, the campaign hopes to challenge the belief that talking about your problems makes you less of a man. The campaign was created by 5 teenage boys from the Harris Academy in Croydon, and developed by Dentsu Aegis Network’s digital agency 360i. Charlie, Alex, Ben, Darnell and Kevin won the chance to see their campaign brought to life in Dentsu Aegis Network’s next generation talent competition, Rise Up in 2017. The competition, which forms part of the network’s school’s programme The Code, invited students from schools across the UK to submit advertising campaign ideas that tackled a societal issue that was close to their hearts. The five secondary school students exposed how young men are negatively affected by male stereotypes. Emotions aren’t specific, but many young men think that expressing emotions is considered girls’talk; they feel that they have to ‘be a man’, and that they can’t express what’s really going on. ‘Guys, it’s okay to talk’ is a series of 30-second films, created to dramatise this hypocrisy with a twist. At first, viewers are made to believe they’re watching a girl. When the protagonist turns out to be a guy, he shuts down his feelings, and bottles them up by telling himself to ‘toughen up.’ This challenges the viewer to think about the male stereotype, and if they allow themselves to share their feelings. The films explore the topics of depression, body image, family conflict and love. Each film depicts a guy in a different situation, but they all suffer the same inability to talk about their feelings. The films were made by young people who have firsthand experience of mental health struggles. The director and two of the actors are young influencers who have all been open about their own issues. The ads will run on websites, on demand TV, radio and cinema nationwide from Friday 18th January 2019. Share The Mix with a mate and use the hashtag #GuysItsOkToTalk to show your support for the campaign!